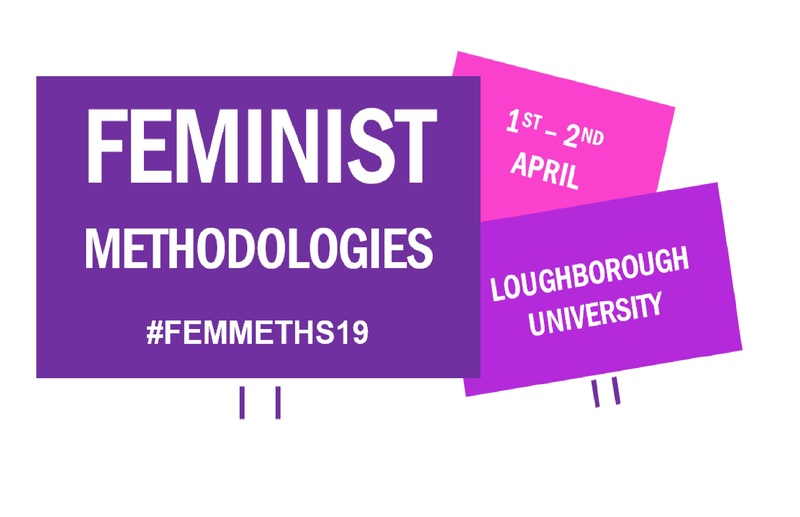 Booking is now open here for our Feminist Methodologies Symposium, 1st-2nd April, 2019 at Loughborough University. Free for Loughborough staff and students, we are happy to have been able to keep the cost for PGRs from other universities down to only £10. A practical recognition that is required of researchers is to be able to choose the best form of methodology for the job at hand. Or for researchers to understand that choosing one methodology over another will inevitable produce different results. I want to draw on Fox and Alldred’s (2014) paper by paraphrasing their understanding of ‘doing and producing research.’ I think their concept of research machines as part of a ‘research-assemblage’ allows us to begin to recognize research as a process of territorialization. Research territorialization is the momentary settling of all the research’s constituent parts – a research assemblage – into a whole that shapes the knowledge produced and in effect wider knowledge production. The knowledge that research produces manifests according to the particular flows of affect produced by any researcher’s methodology and methods, analysis and write-up and the people involved. This materialist analysis of research-as assemblage is pivotal to my more recent understanding of research integrity, and will form the basis for a critical framework for this talk around qualitative and indeed it’s often quoted nemesis quantitative social inquiry and the connections and disjuncture that the neo-materialist approach may have for and on feminist research. In this talk I offer examples of a method of empirical performance that brings together qualitative research with the expressive arts to evoke the complex sensual and organic residues of how social injustice and violation can be lived and carried in exiled and migrant bodies at the end of life. My interest has been in how speculative and creative methods can be used to investigate how migrant bodies can bear and express the weight of living in climates of racialised hostility and debilitation. In discussing my experiments with the method, I invite you to journey with me into the undercommons of research; to tune into and out of what is withdrawn from the now, from rational thought and from symbolisation. In developing empirical performance pieces I have followed Saidiya Hartman (1997) in giving attention to ‘the terror of the mundane and quotidian rather than exploit the shocking spectacle’ (p.4). The paper draws from my research with migrants and refugees in English hospitals, hospices and in the community and my interest in the in-between, cripping of experience that is expressed in hallucinations, deliria and diasporic dementia. Sharon Kivland is an artist, writer, editor, publisher, an occasional and reluctant curator and translator, and is sometimes (and to her surprise) called a poet, who lives and works in France and the UK. Her work considers what is put at stake by art, politics, and psychoanalysis. She will not give a paper (she may not give anything, for everything has a price), but will talk instead about some recent works, where bodies are formed (fashioned), where agency is acquired (and lost), and where political action intersects with private life. In conversation with my respondent, I hope to use this opportunity to begin to articulate what emerges powerfully from the WIASN experience in terms of our duties of care for each other as women in academia, and in particular our responsibility towards PhD students and early career academics who find themselves entering the world of HE at a challenging time. How can deploy feminist solidarity to radically change academia for the better? Ali Bilgic (International Relations, LU), ‘”Between us and reality are our feelings”: An Immigrant’s Story’. Feminist social sciences have long studied emotions by rejecting the modernist/positivist binary between rationality and affect. However, the discipline of International Relations (IR) chose to ignore these feminist contributions and has recently invented its own ‘affective turn’ while still, mostly, ignoring feminist contributions. As a PhD student, I also reproduced the dichotomy to separate my research on immigration from my feelings as an immigrant in the UK. However, with the benefit of hindsight, I now argue that the separation, which was supposed to make my research ‘credible’, in fact, disabled me to explore the workings of power through emotions in immigration control, in particular, how my/our bodies and subjectivities as researchers are affectively disciplined in/through academic discourse. In this talk, I will tell my research story and urge feminist researchers to trust and rely on their moments of ‘affective dissonance’. In doing research at the nexus of transnational feminisms and contemporary art, I have found myself with what I envisage as a small satchel of terms that are variously useful, compelling, inspiring and troublesome. Some of these are firm and fast friends – materialisation, generosity, wonder; others, I first ignored, only to find them emerging time and again until they became a focal point in my work – cosmopolitanism, imagination, ecologies. If I dig around in my satchel at the moment, methodology tumbles out. Indeed it looms large as a word I once wanted to dodge because of its stifling associations (in my head) with reductive thinking and the application of an ‘off the peg’ model of enquiry. In other words, methodology could not be a tool in my satchel, because my tools were there (per Audre Lorde) to dismantle the Master’s house. In my current project, however, I have become fascinated by the transformative power of transnational feminist work on methodologies, as it draws together, in marvellous figurations, decolonising, race critical, indigenous, queer, utopian, transversal, ecologies of knowing, imagining, writing, making and inhabiting the world otherwise. These encounters with methodology are what I would like to share with colleagues through my presentation. We are delighted to bring you an evening performance from Major Labia, a comedy collective of witty women. Graduates of the BAFTA award-winning Television Workshop, Breakthrough Company at Leicester Curve, and, most recently, Amplify Creative Associates at the Nottingham Playhouse, they tackle daily issues through vaginal comedy. On the evening of the 1st, we will be going to Browns Lane restaurant in Loughborough for dinner, where they have put on a special deal for us. You can sign up and pay for this when you register.